After disappointing fans with the tour delay announcement, Breezy makes them angry when he calls them 'ungrateful b***ha** n***as' for their complaints. Brown told his fans via an Instagram post that he had to reschedule the first few dates on the tour to complete his court-ordered community service. "Out of 1000 hours I only have 100 left. I will work my a** off to complete it and I will be on that stage," he wrote. Fans then took to social media to express their frustration over the delay. One Twitter user who goes by @jaefromvine questioned why it took him so long to complete all 1000 hours. 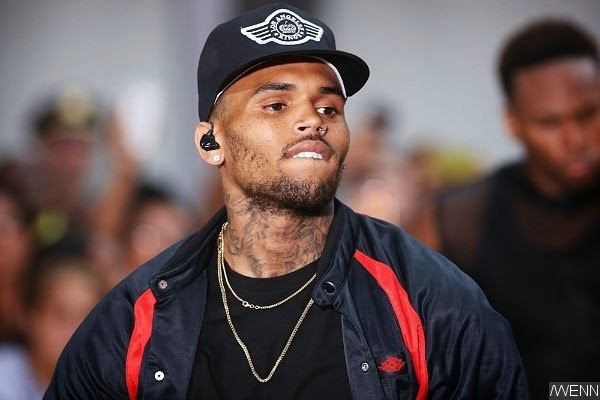 "Dear Chris Brown, you were sentenced [to] 1,000 hours of community service on 8/16/13. What were you doing between then & now? I need answers," she wrote. In a different post, she argued that Brown had the time to make the "Autumn Leaves" music video but didn't have time to complete the 100 hours. She also told Breezy's girlfriend Karrueche Tran to help him with his community service. 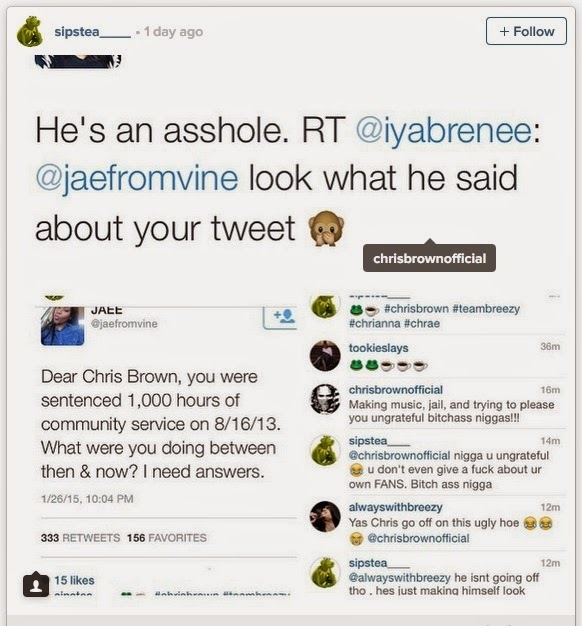 Another fan then shared one of @jaefromvine's posts to Instagram and Brown responded in the comment section, saying, "Making music, jail and trying to please you ungrateful b***ha** n***as."